﻿ What is “Chain Migration” and Which Family Members are Eligible? What is “Chain Migration” and Which Family Members are Eligible? 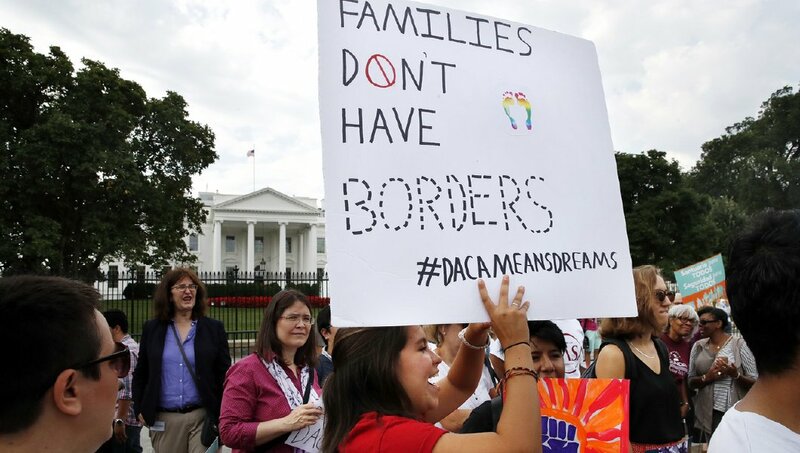 “Chain migration” is officially known under federal law as “family reunification” and is the process by which legal U.S. residents and green card holders (lawful permanent residents), may sponsor family members for immigration to the United States. As has been the case for immigration in to our country for literally hundreds of years- the concept is simple. Families and extended families generally want to live near each other. Social relationships also play a large role in establishing where people want to live, and people are more likely to move to where they know others. While many immigrants may first to America for better wages and to improve their lives as their main goal, each new immigrant also creates new relationships and social ties here. That lessens the reasons for ever wanting to leave, and so America becomes home for them and for their future generations. Chain migration is the most common legal form of immigration to the U.S. The application process for the permanent residency of certain family members varies depending on the petitioners’ status of U.S. citizen vs green card holder. Immediate relative (or “family reunification”) visas, are available to applicants having a “close family relationship” with a U.S. citizen and that includes spouses, unmarried children under 21, orphans adopted abroad or to be adopted in the U.S., and, if the U.S. citizen is 21 or older, their parents. Family preference visas are available to applicants who have a specific, more distant, family relationship with a U.S. citizen. These family preferences include unmarried sons and daughter of U.S. citizens and their minor children, married sons and daughters of U.S. citizens and their spouses and minor children, and siblings of U.S. citizens and their spouses and minor children (if citizens are 21 or older). Family preference visas are also available to certain family members of green card holders. These lawful permanent residents can sponsor spouses, minor children, and unmarried sons and daughters 21 or older. Immediate relative visas and family-based visa applications are not available to grandparents, aunts, uncles, in-laws or cousins. Contrary to popular belief, citizenship is not automatically granted to those who are sponsored by their family members in the United States. The waiting period with U.S. Citizenship and Immigration Services can last anywhere from months to decades. All immigrants admitted to the U.S. undergo rigorous security screening. In addition to the responsibility for application fees, sponsors of immigrant family members must prove they can support their family members financially for an extended period of time, starting with proof of an income that is at or above 125 percent of the federal poverty level. Sponsors are financially responsible for immigrant relatives until the relative becomes a citizen or works at least 10 years in the U.S. Critics have argued that the current immigration program is flawed in that it triggers an endless flow of immigrant family members into the country. While the current system does not set limits on how many spouses and minor children a legal immigrant can bring in, it does set caps on married children and adult siblings. And there are limits on the total immigrants who can come from each country. President Trump’s new administration has expressed concerns that chain migration takes jobs from Americans and is a threat to national security. Recent immigration discussions have focused on limiting sponsorship to spouses and minor children, and to instituting a merit-based program that gives preference to immigrants based on job training, education, and English proficiency. Others believe we need more immigrants, not less, especially in many industries that depend so heavily on them. There is also the belief that if we reduce immigration, there won’t be enough workers for a healthy economy. In 2017, the number of immigrants approved for family-based visas dropped to the lowest level in more than a decade. So even without new immigration reforms, immigration has slowed. If you are considering becoming a sponsor for immediate relative or family preference visas, contact FES Immigration Law to seek advice from qualified immigration attorneys. We are here to listen to you and your family’s objectives and to help you determine your best approach. Call us today at (813) 530-5992. The Ins And Outs of DACAWhat is the Diversity Immigrant Visa Program All About and When is the Next Application Period?